More and more people are getting involved with Bitcoins. More and more people are becoming interested in how to mine by themselves. Everybody can do Bitcoin mining by running software with specialized hardware. In the early days it was possible to find a new block using your computer\\\\\\\\\\\\\\\\\\\\\\\\\\\\\\\\\\\\\\\\\\\\\\\\\\\\\\\\\\\\\\\'s CPU. As an increasing number of people started mining, the difficulty of finding new blocks increased greatly to the point where the only cost-effective method of mining today is using specialized hardware. 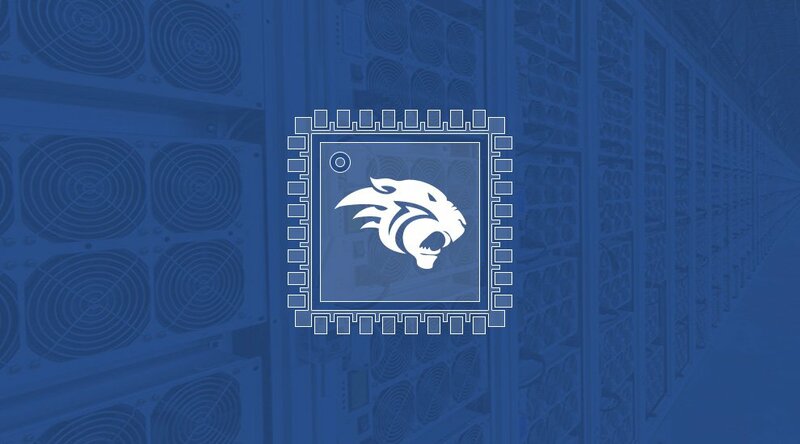 There are several people and teams all over the world who are busy with developing the finest mining hardware. The fastest USB miner in the world at this moment is the bi\\\\\\\\\\\\\\\\\\\\\\\\\\\\\\\\xe2\\\\\\\\\\\\\\\\\\\\\\\\\\\\\\\\x80\\\\\\\\\\\\\\\\\\\\\\\\\\\\\\\\xa2fury 5GH USB ASIC Bitcoin Miner. Bitcoin Magazine spoke with network engineer and Bitcoin enthusiast Filip Pawczy\\\\\\\\\\\\\\\\\\\\\\\\\\\\\\\\xc5\\\\\\\\\\\\\\\\\\\\\\\\\\\\\\\\x84ski from Poland. He runs IT company FPITM and introduced the bi\\\\\\\\\\\\\\\\\\\\\\\\\\\\\\\\xe2\\\\\\\\\\\\\\\\\\\\\\\\\\\\\\\\x80\\\\\\\\\\\\\\\\\\\\\\\\\\\\\\\\xa2fury in November. Christien Havranek: What exactly are you doing in the world of Bitcoins and with the hardware? And since when? Filip Pawczy\\\\\\\\\\\\\\\\\\\\\\\\\\\\\\\\xc5\\\\\\\\\\\\\\\\\\\\\\\\\\\\\\\\x84ski: I am a part of a Polish group of Bitcoin enthusiasts who decided to take as many challenges as possible into the world of Bitcoins. We call ourselves \\\\\\\\\\\\\\\\\\\\\\\\\\\\\\\\\\\\\\\\\\\\\\\\\\\\\\\\\\\\\\\'Cryptopol\\\\\\\\\\\\\\\\\\\\\\\\\\\\\\\\\\\\\\\\\\\\\\\\\\\\\\\\\\\\\\\' and share the most visions for the future with the currency. The most important thing that we do in the world of Bitcoins now is producing mining hardware. 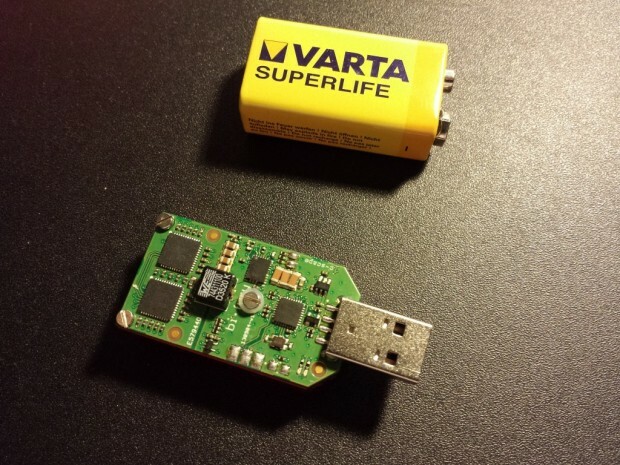 At the moment we are full-time busy with our USB ASIC Bitcoin Miner. We started this project in June this year. Thanks to our electronic projecting partners intron and c-scape we produced the fastest USB ASIC Bitcoin Miner in the world at this moment, acquiring a speed of 5Gh/s. We want to involve as many people with Bitcoin as possible, and to do this in a very transparant and honest way. Next to this project, we work for Bitcoin in the Polish scene. While Bitcoin is worth spreading, we want to promote it for all kind of users. We are responsible for the Polish Bitcoin Association. This association has a mission to get Polish people closer to Bitcoin. We are a part of many Bitcoin meetings and conferences to promote the currency, especially in Warsaw. In my opinion personal networking is very important at this kind of business. Due to this we meet people who want to help with PBA. Our Polish Bitcoin Association just started working, and unfortunately very slowly. We are going to start a real promotion program in early 2014. We also want to join Bitcoin Foundation for a cooperation in the future. CH: Are there a lot of people interested into Bitcoin in Poland? And what kind of people are we talking about then? FP: According to Sourceforge, Poland got a high place in the world with Bitcoin QT wallet downloads and we also have many stable nodes. I also know many Polish miners; all are doing a good job for the future of Bitcoin. There were a couple of meet-ups and conferences already in Poland; they were successful. The kind of people interested in Bitcoins are in the first place IT-ers and engineers. Students of ITC - and financial studies follow. There is over 60% activity into the world of Bitcoins within this group, which is a lot! The rest of the people that are interested is a mix of people who want to start building something up into this system and also others who don\\\\\\\\\\\\\\\\\\\\\\\\\\\\\\\\xe2\\\\\\\\\\\\\\\\\\\\\\\\\\\\\\\\x80\\\\\\\\\\\\\\\\\\\\\\\\\\\\\\\\x99t. Some of them are just doing Bitcoin stuff for money, while others want to make the old and sick system of nowadays more healthy for everyone. CH: How did you come into contact with Bitcoins? And since when? FP: I heard of them for the first time long ago. It was at the beginning of 2011. What I definitely remember is the BTC value of that time, it was lower than 1$. My friend Sebastian showed me a \\\\\\\\\\\\\\\\\\\\\\\\\\\\\\\\xe2\\\\\\\\\\\\\\\\\\\\\\\\\\\\\\\\x80\\\\\\\\\\\\\\\\\\\\\\\\\\\\\\\\x9cWhat Is Bitcoin\\\\\\\\\\\\\\\\\\\\\\\\\\\\\\\\xe2\\\\\\\\\\\\\\\\\\\\\\\\\\\\\\\\x80\\\\\\\\\\\\\\\\\\\\\\\\\\\\\\\\x9d video from weusecoins.com (CH: You can find it here: \\\\\\\\\\\\\\\\\\\\\\\\\\\\\\\\xc2\\\\\\\\\\\\\\\\\\\\\\\\\\\\\\\\xa0https://www.weusecoins.com/en/ ). I remember the feeling I had at the part of this video when the ice cubes with coins are melting down and the voice is telling "your account can\\\\\\\\\\\\\\\\\\\\\\\\\\\\\\\\\\\\\\\\\\\\\\\\\\\\\\\\\\\\\\\'t be frozen\\\\\\\\\\\\\\\\\\\\\\\\\\\\\\\\xe2\\\\\\\\\\\\\\\\\\\\\\\\\\\\\\\\x80\\\\\\\\\\\\\\\\\\\\\\\\\\\\\\\\x9d like the day of today. I was very interested immediately and full of hope. So here it all started. Nowadays Sebastian is one of my co-operators at Cryptopol. CH: When did you decide to start working with Bitcoins? And what was the process? FP: Actually it was at the beginning of this year. I was just watching Bitcoins and their world without doing some concrete things with them much too long. But I was very absorbed with my work and lifestyle at the time before, and it was difficult to drop everything and to start doing something completely from the beginning. Also willpower and resources were scarce at that time. But working together with some other very motivated people made the process more easy. We started just focusing on Bitcoins and its capabilities, made a plan what to do and how, and started implementing. CH: And a great result is the fastest USB miner at the moment: Mr. bi\\\\\\\\\\\\\\\\\\\\\\\\\\\\\\\\xe2\\\\\\\\\\\\\\\\\\\\\\\\\\\\\\\\x80\\\\\\\\\\\\\\\\\\\\\\\\\\\\\\\\xa2fury. How is he doing in the big world? FP: Mr. bi\\\\\\\\\\\\\\\\\\\\\\\\\\\\\\\\xe2\\\\\\\\\\\\\\\\\\\\\\\\\\\\\\\\x80\\\\\\\\\\\\\\\\\\\\\\\\\\\\\\\\xa2fury is doing well, thanks! Although I can tell you that Miners are a hard business, especially small ones, we don\\\\\\\\\\\\\\\\\\\\\\\\\\\\\\\\\\\\\\\\\\\\\\\\\\\\\\\\\\\\\\\'t have to complain. We learn very much about the market and we implement improvements to the project all the time. The price of the devices was unstabilized because of many pre-orders. 90% of the hardware companies that make miners used the pre-orders. We have had very negative experiences with preorders in selling hardware. So that is why we decided to have our products in stock. Because we wanted to have them in stock, we had to take the decision to make them a bit more expensive according to the market Gh price. Most of the people are very fine about this because they see the advantage of it. Some are complaining about the price. But when I am looking back to the prices and delivery delay situation on hardware about 6 months ago, I know we made the best decision. The selling is going well now and we are very happy to send our devices all over the world to countries like Malaysia, China, Japan, South Korea, USA, Australia, Russia, Argentina. Most of them are EU customers, especially from Germany. When we take a look at comments and posts about the service most of our customers are very pleased. One customer even wrote that he received his device within 5 days after ordering it from the West Coast of the USA. I think that is very good. When people order their unit, they will get it as fast as UPS can deliver it. We are giving our best for customers and when we read comments like the one above, it gives us a satisfied feeling. CH: What do you think the future of Bitcoin will be? FP: In former times, I was thinking about this a lot. After many thoughts finally I concluded that I just had to start to create a Bitcoin future in my own space. So I stopped thinking about what will and could be with Bitcoins in the future, and started to work on things and to create. According to all I think that Bitcoin has the potential to be a global currency, but we have to work for it to make it happen. CH: And what do you think will be the impact of Bitcoin on the world? FP: In many things it will be much better than now. Bitcoin has many useful and logical rules; they can easily improve our financial behaviours and make it more healthy for us users. Decentralization is also a major advantage. In my opinion nobody should have the power to print money. Fiat currencies and neo-economy is the black-end for humanity right now. Nobody should be exposed to fiat bubbles breaking down and have to count on banks who can not pay you back your money, like what happened on Cyprus. Unfortunately we are living in a time where it can happen to most of us. Using Bitcoin is a good way to prevent people from having these problems and so it makes it the right moment to choose it now. Since the beginning of Bitcoin it was impossible to stop it. And we are only at the half of the first phase now. And more information about Bitcoin, PBA works, events and meetings will be available on www.bitcoin.org.pl soon (under construction now).